​ I am an artist, a humanitarian, a traveler, a learner, and above all, a human being. I have a passion and compassion for people, for their stories, their lives, and their experiences. Immense amounts of inspiration are gained for me from those who dedicate their life to following their heart and beating the odds. Jane Goodall and Jerry Garcia are two fascinating individuals who have and are continuing to build a community and culture of kindness and coexistence. My admiration for these humans is a driving force in both my subject matter and life. 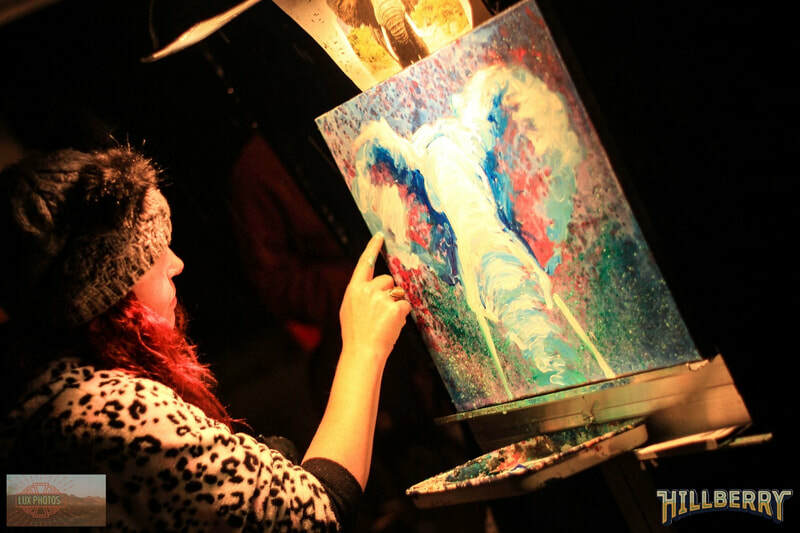 Performance painting for live music is the icing on the cake and came naturally once the courage was mustered. Music heals, art heals, together they make my soul dance and the creativity flow. 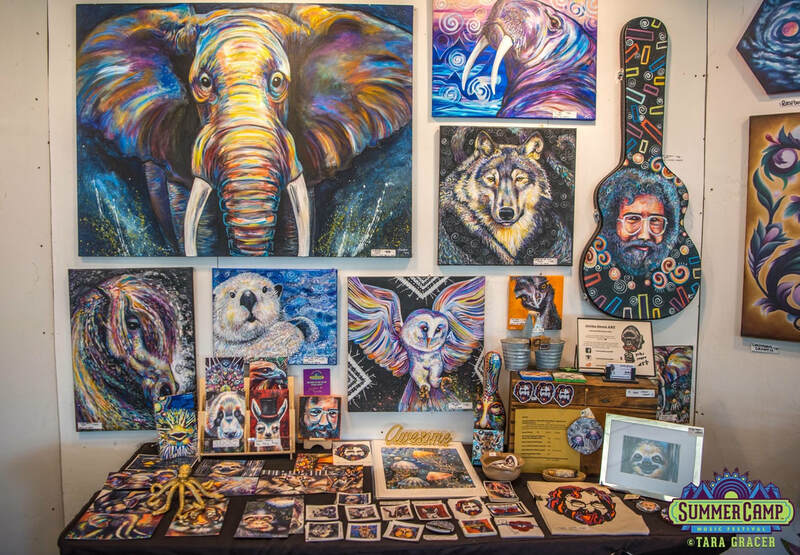 Born and raised as a Pennsylvania mountain mama, this self-taught artist is currently laying roots in Nashville and embracing the growing city and it’s unique opportunities. Using paint covered fingers, the strokes of a paintbrush, and a deep infatuation for this complicated, strange, and beautiful world, my goal is to bring unity and happiness through color and, in return, create a legacy of love. Jane, Jerry, Jerika…… anything’s possible, right? 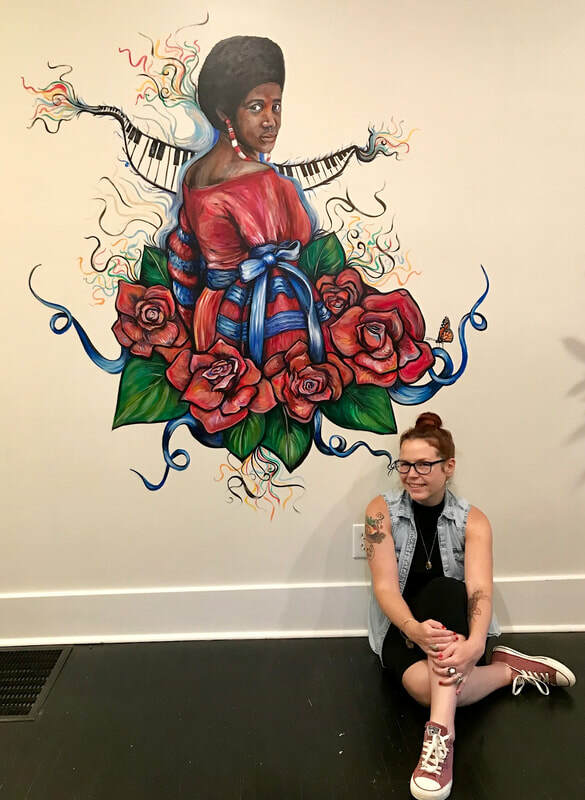 Mayday Brewery Featured Artist, Feb/Mar 2019. Nashville September Art Crawl, "O" Gallery artist. The Arcade. Tailgate Brewery Featured Artist, March 2018. "Mere Existence." 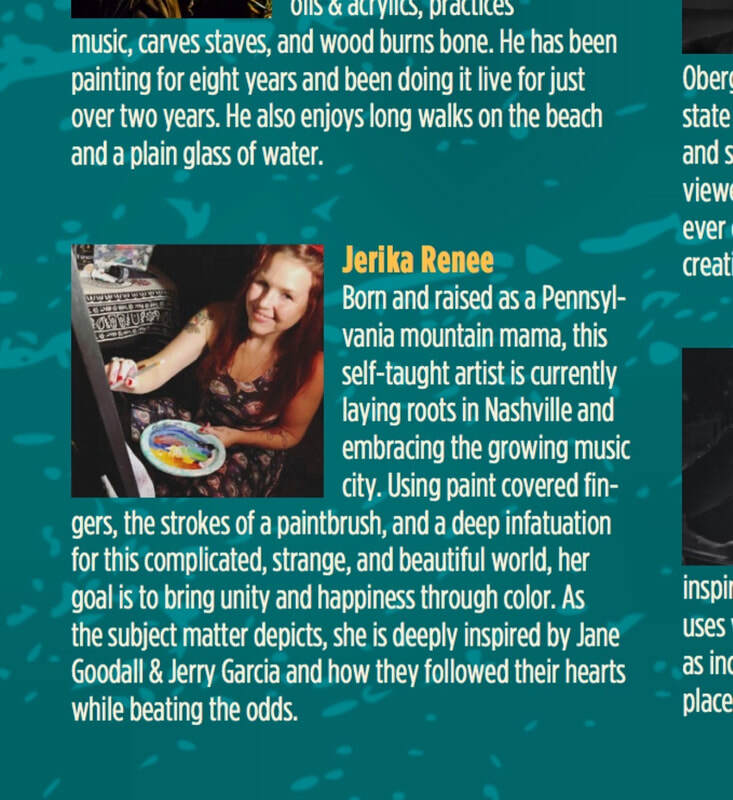 Jerika Renee Art Reception, September 30, 2016 and Artist of the Month, October 2016. MetroMikee's Creative Salon and Gallery, Harrisburg, PA.
"Inner Circles." Ragged Edge Coffee Shop. September 2015. Gettysburg, PA. Teaching: Instruction on acrylic painting, both still life and performance painting. Jane Goodall has one of my original chimpanzee paintings hanging in her office in Arlington, Virginia. 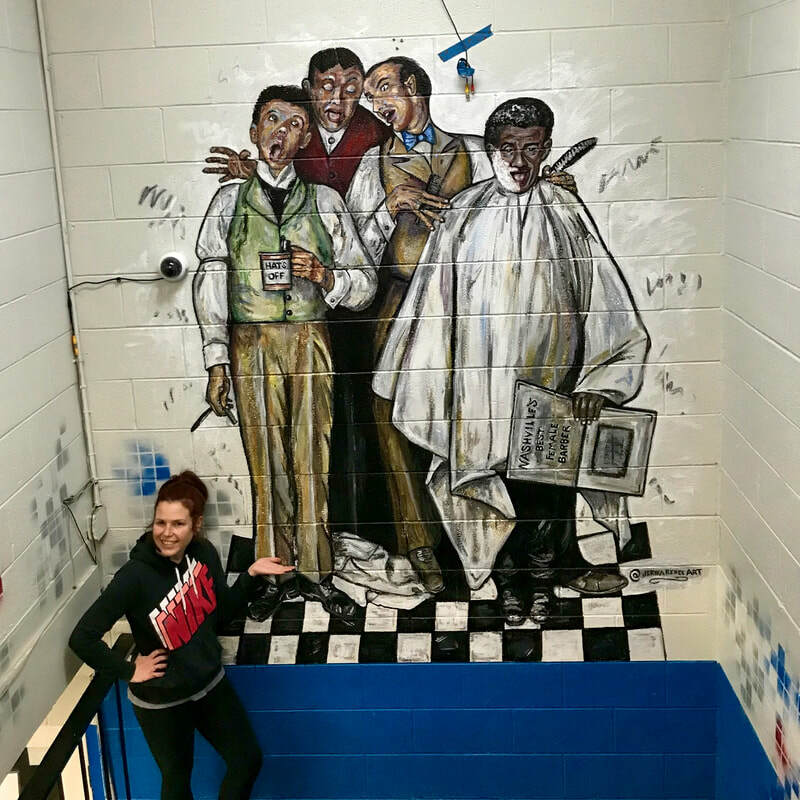 A multicultural rendition of Norman Rockwell's barbershop quartet for Hat's Off Classic barbershop. Nashville, TN. 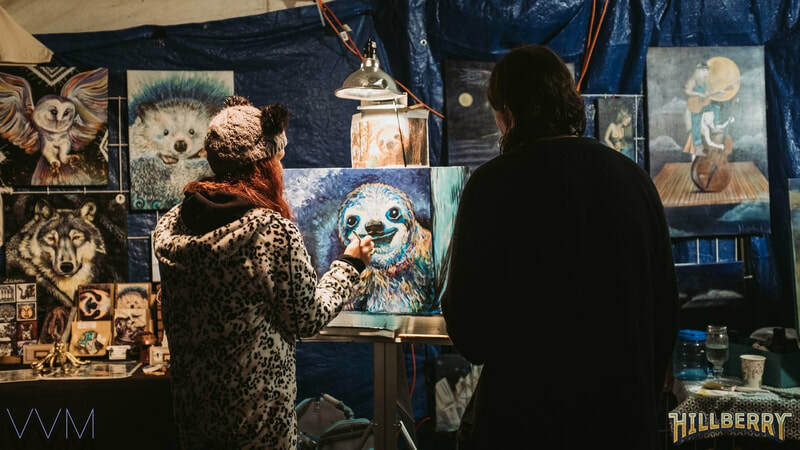 Currently painting and vending every month in East Nashville for Joy Circle Records and the band Cosmic Shift for their Jam night at The East Room. CraftTrap Nashville Hot Chicken and Art show. March 2, 2019. 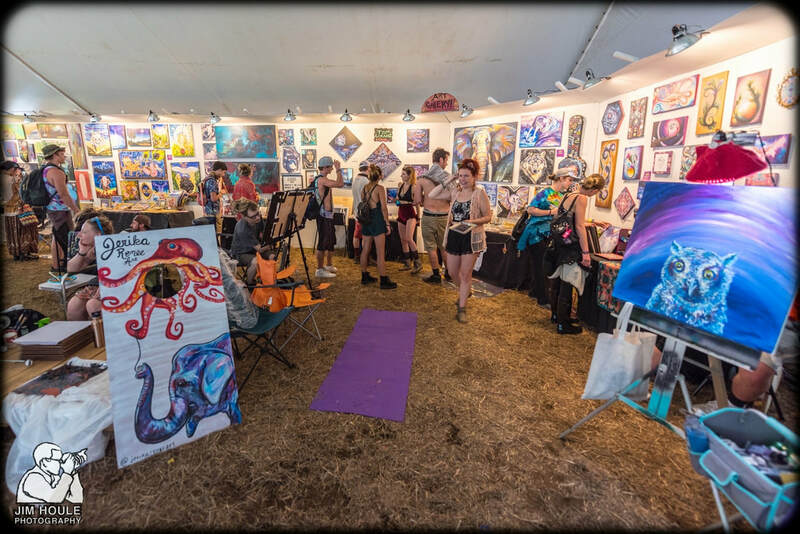 Hillberry Music Festival: Live art gallery. October 11-14, 2018. Eureka Springs, AR. 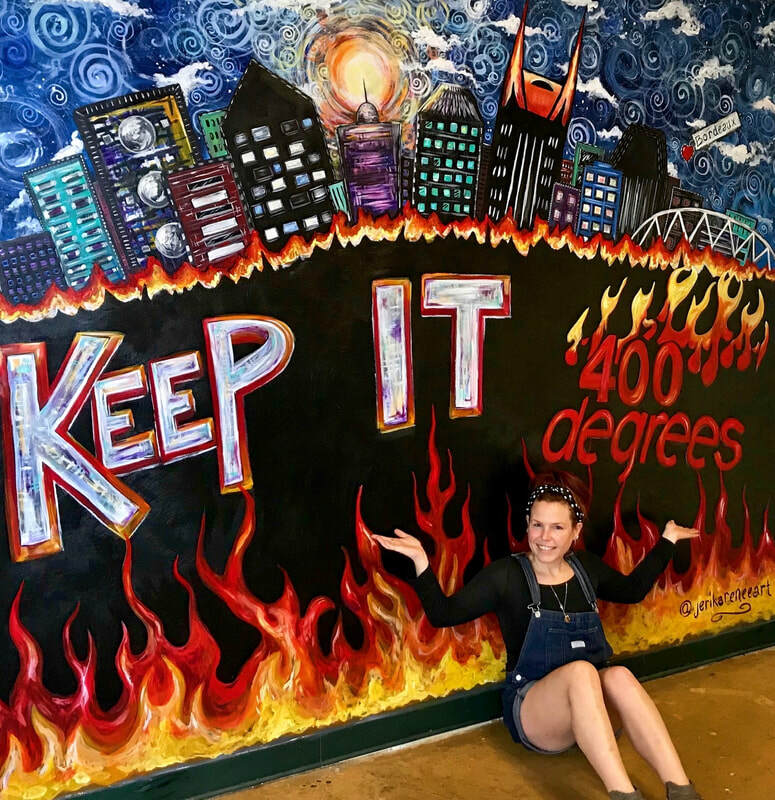 Tomato Arts Festival, August 2018, East Nashville, TN. 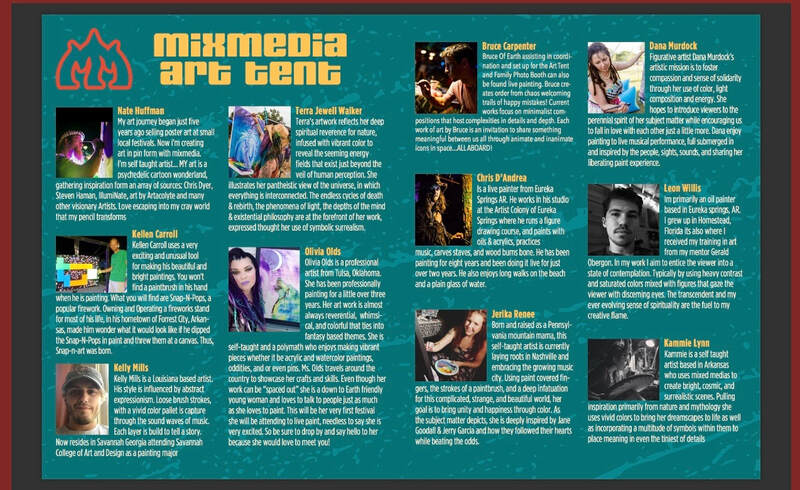 Summer Camp Music Festival: Soulshine Live Art Gallery. May 24-27, 2018. Chillicothe, IL. Gaia Getdown. Concert for water conservation. March 16, 2018. The High Watt. Nashville, TN.